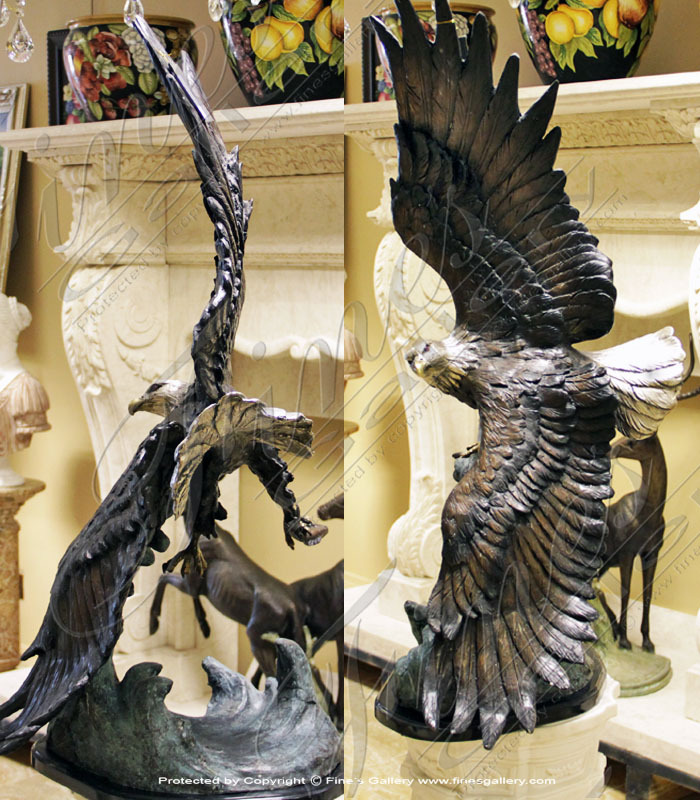 Extra Large Life Size Bronze Eagle Statue. 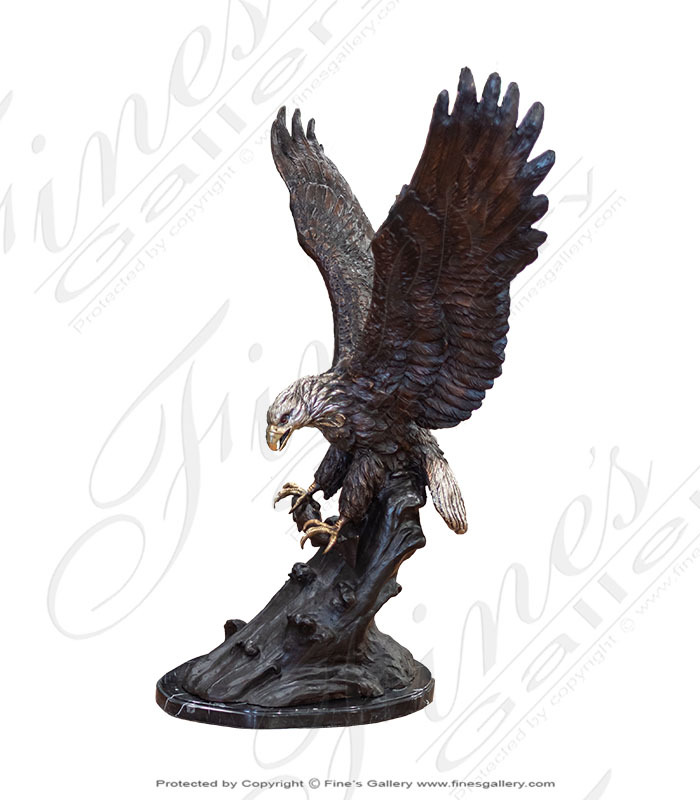 This stunning eagle has snared a fish with his talons and is taking off to enjoy his meal up on his perch. Marble Base is not included with this piece! 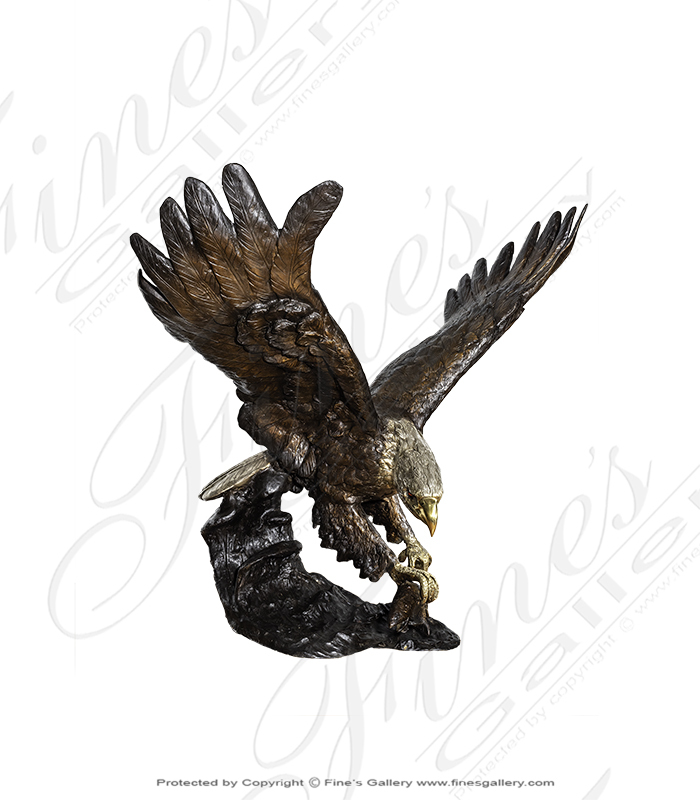 This awe-inspiring piece is a beautifully hand enameled bronze statue. 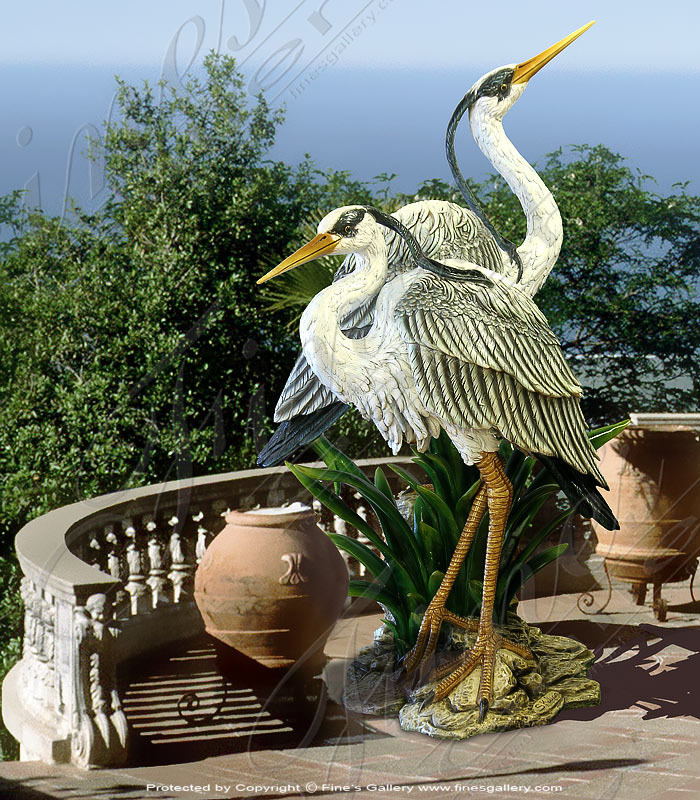 The sculpture shows several Macaws perched upon a three tier tree stand in a bronze patina. 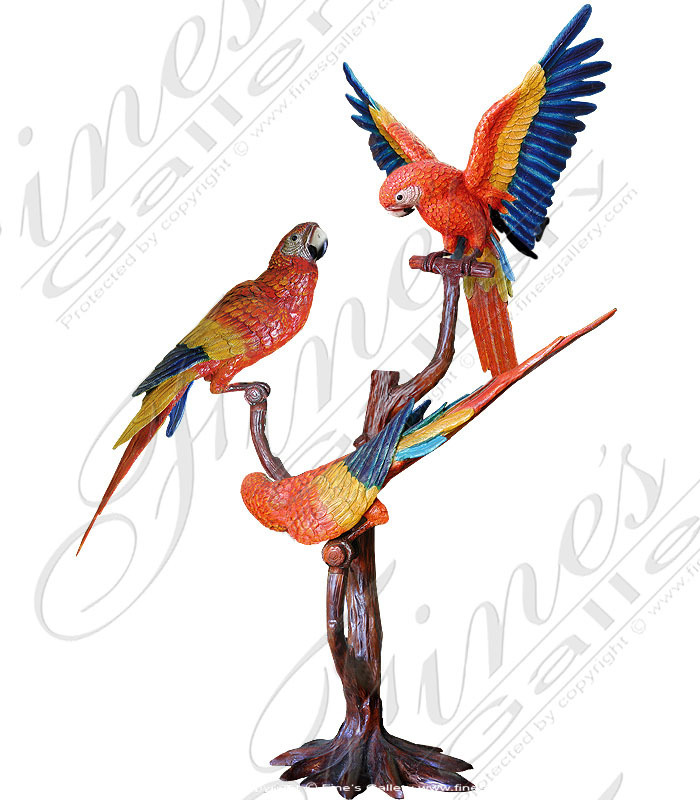 The Macaws are hand enameled to bring out the vibrant colors of this species of birds. The amazing eagle is coming in for a landing onto a tree branch high atop the prairie, so as to search for food. 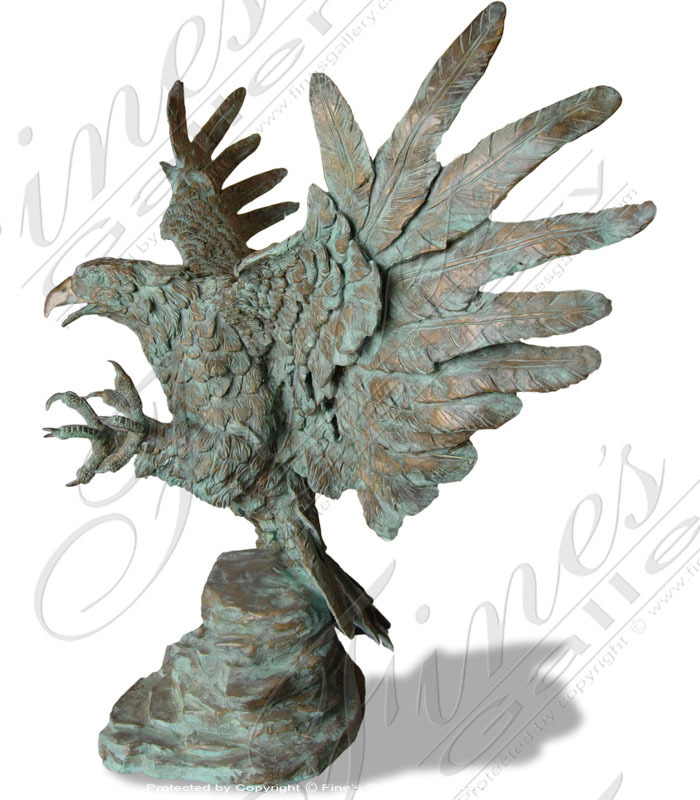 The eagle is highly detailed and casted from a bronze patina. 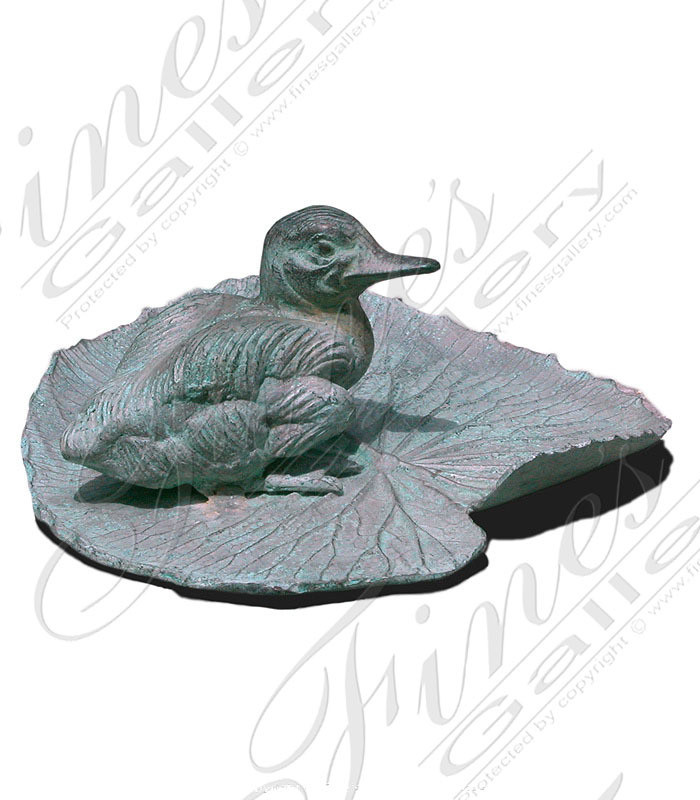 It sits on an octagonal base also made of bronze patina. This massive American Bald Eagle grabs a fish from the rapids without hesitation. It is truly the master of flight, to be able to grab prey from moving water while in flight. This piece is artistically superior in every detail. 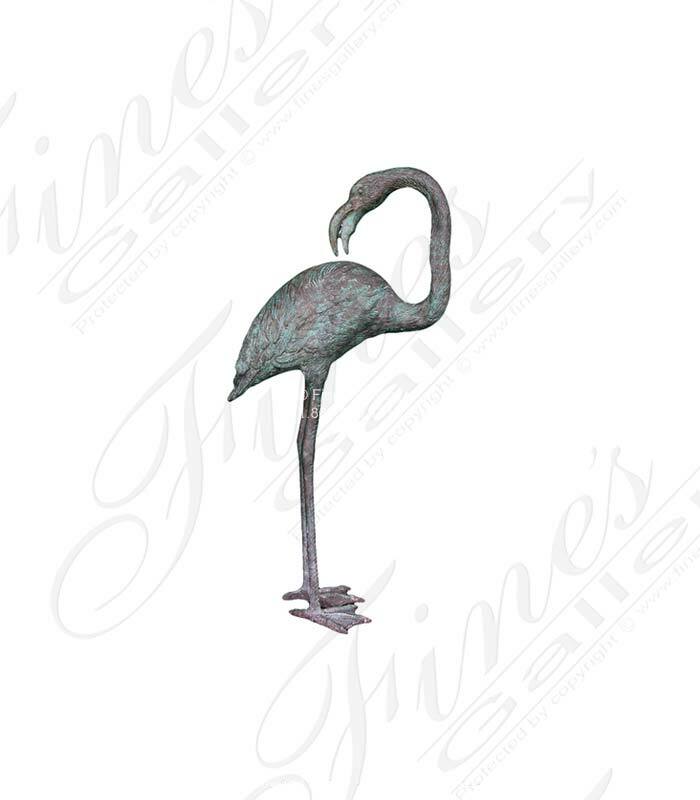 Smaller than BS-447.This bronze patina flamingo statue is just as lovely. 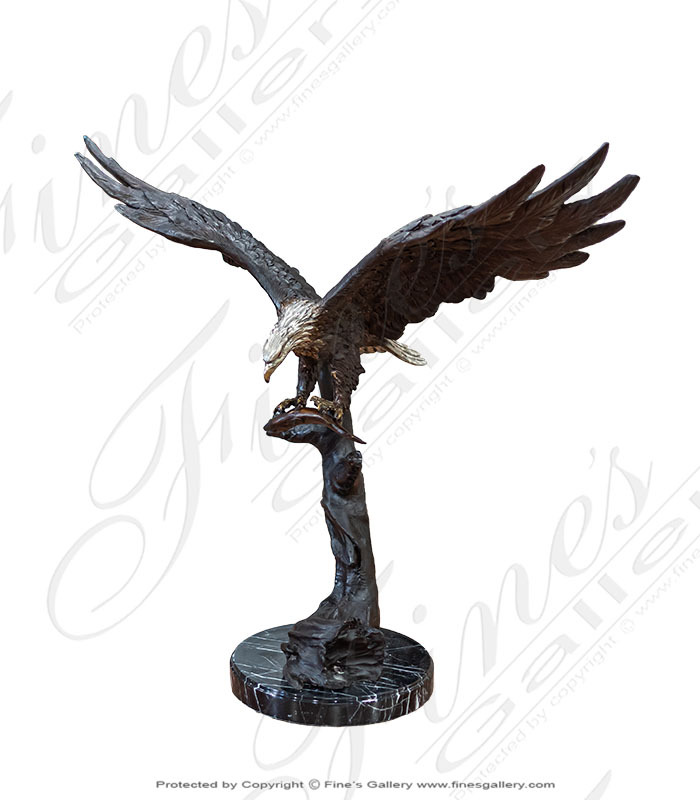 Delicately detailed down to the last feather and accented with a beautiful malachite green patina. 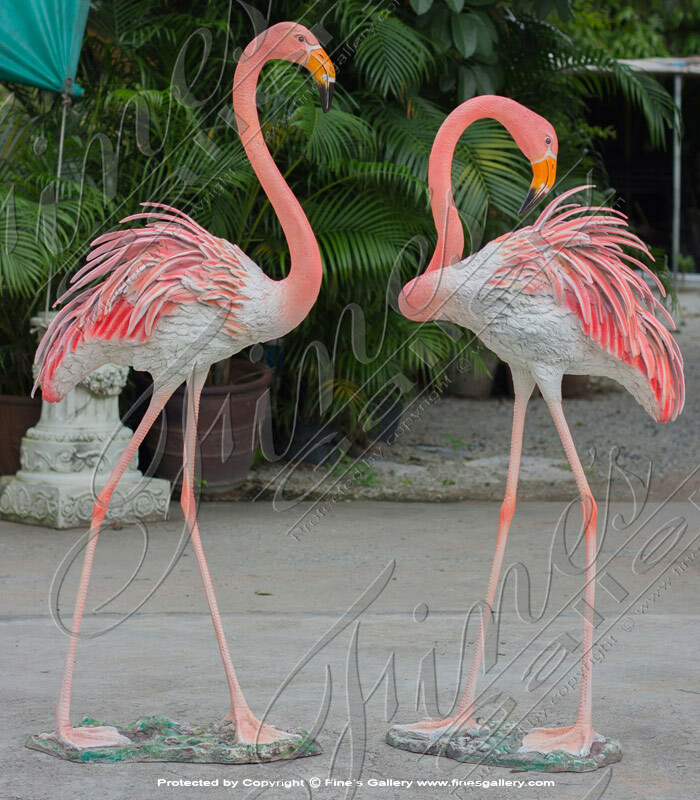 (sold in pairs) Contact us today for more information. 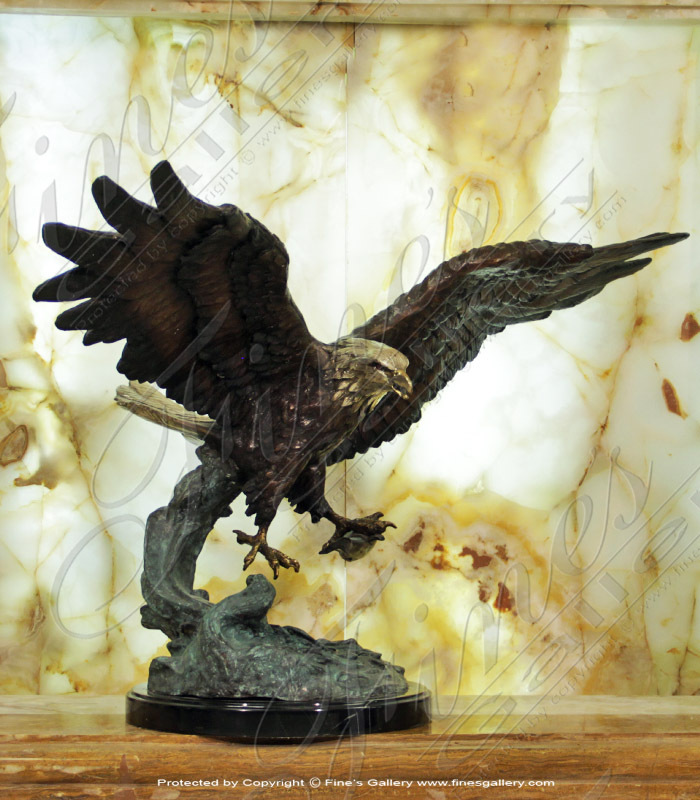 A beautiful artistic Bronze creation of a eagle captured in full flight encapsulated forever for you. 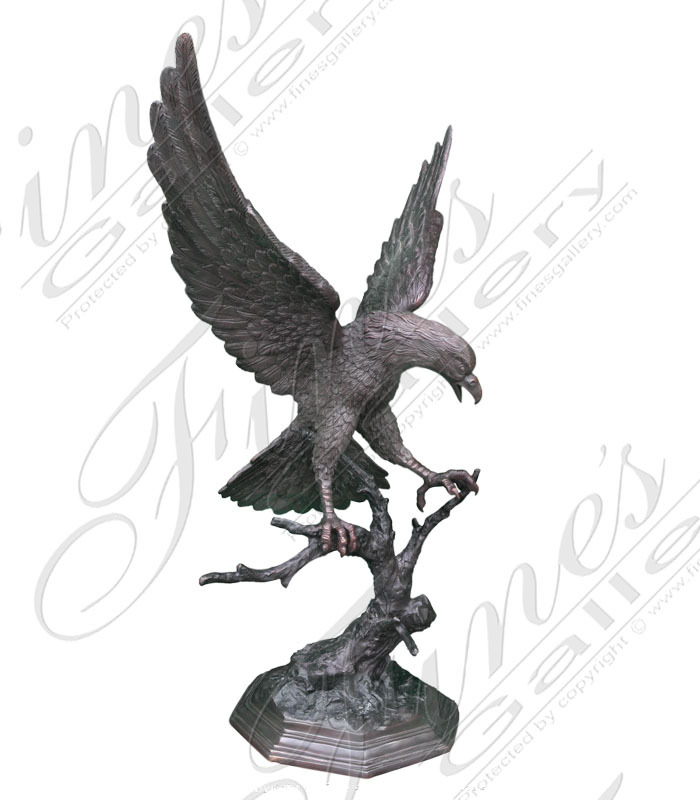 Cast in Bronze Patina, this full size, life like statue will be a stunning addition for your Home, Garden or Pool area for years to come. The largest and most widespread heron in North America, the Great Blue Heron can be found alongocean shores orsmall inland bodies of water. 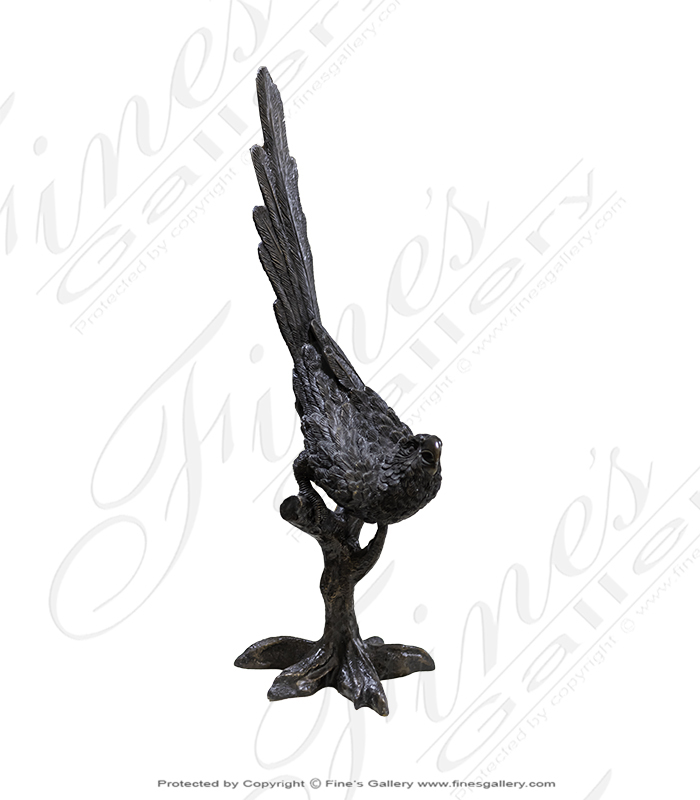 This beautiful bronze bird would be an excellent addition to your home or garden. 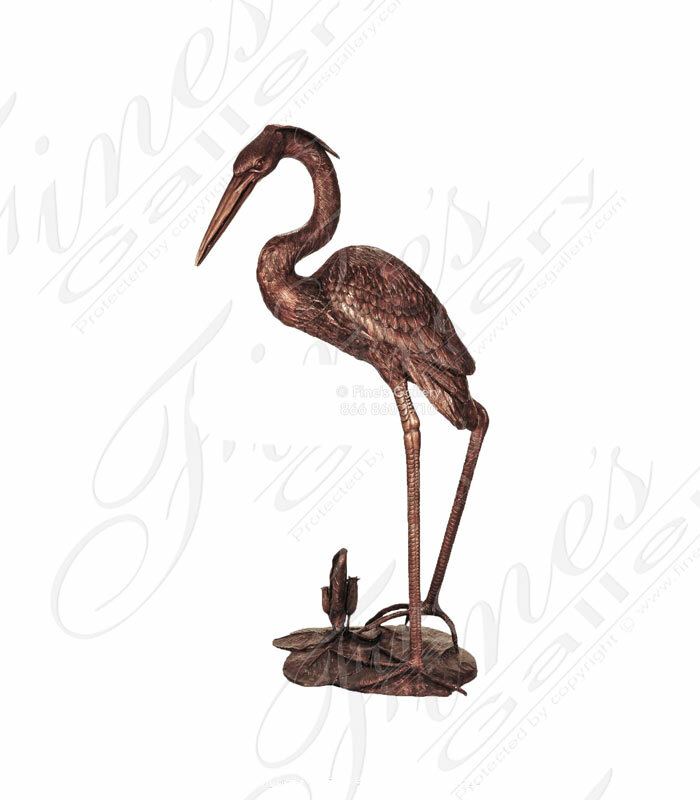 Cast in bronze with a multitude of colors, you will enjoy this artistic beauty for years to come! Contact us today. 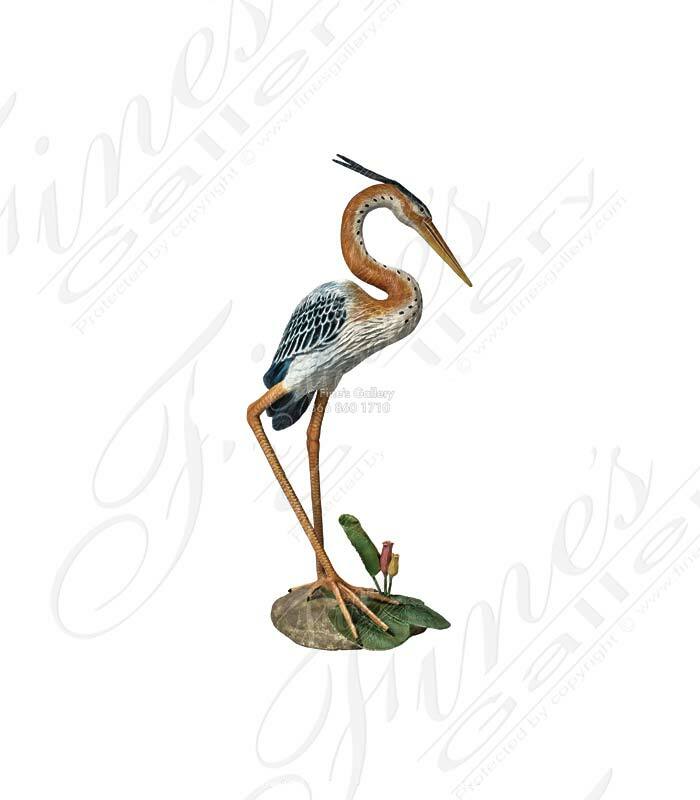 This playful creature sits atop her perch waiting for a treat!Crafted in a classic bronze finish, this is a wonderful piece of art with meticulous artistic detail and life-like realism. 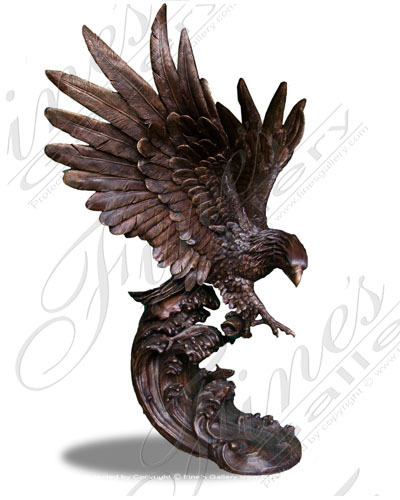 Enjoy this beautiful bronze parrot statue for your home.